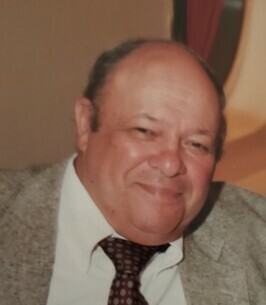 Louis M. Garafola of Westerly, passed away Feb 7th, 2019 surrounded by his children in Cocoa Beach, FL. Louis was born in Westerly to the late Michael and Christina (Aiello) Garafola in 1941. He attended Immaculate Conception Church and graduated from Westerly High School in 1959. Louis then graduated from New England Institute of Anatomy in Boston, Mass with a diploma in Mortuary Science. Louis met the love of his life and wife of 53 years, Patsy L. (Burge) Garafola, in Westerly where they called home. Louis worked for the Town of Westerly for 43 years spending over 20 years as the Business Agent for the Local 15 Laborer’s Union. He also worked for Rushlow Iacoi Funeral Home for 30 years serving as a funeral director and embalmer. Louis was a member of the Bradford Citizens Club, the Moose Club, the Westerly Lodge of Elks and the Westerly Knights of Columbus as well as the past president of the Westerly National Little League. Louis is survived by his four children, Debbie (Garafola) Strawderman and her husband Michael, Greg Garafola, Christina Garafola, and Michael Garafola and his wife Trina. He is also survived by seven grandchildren, Sarah and Amber Garafola, Aaron and Austin Strawderman and Michael, Matthew and Macey Garafola; six great grandchildren; and his sister Linda Cuccitrone. In addition to his wife and parents, Louis was predeceased by his brother Robert. Louis was a kind and loving parent and grandfather who lived everyday to be surrounded by his family. To plant a tree in memory of Louis M. Garafola, please visit our Heartfelt Sympathies Store. We were so sorry to hear about Lou's passing. He was a kind and generous man. Our thoughts and prayers are with his family at this difficult time.